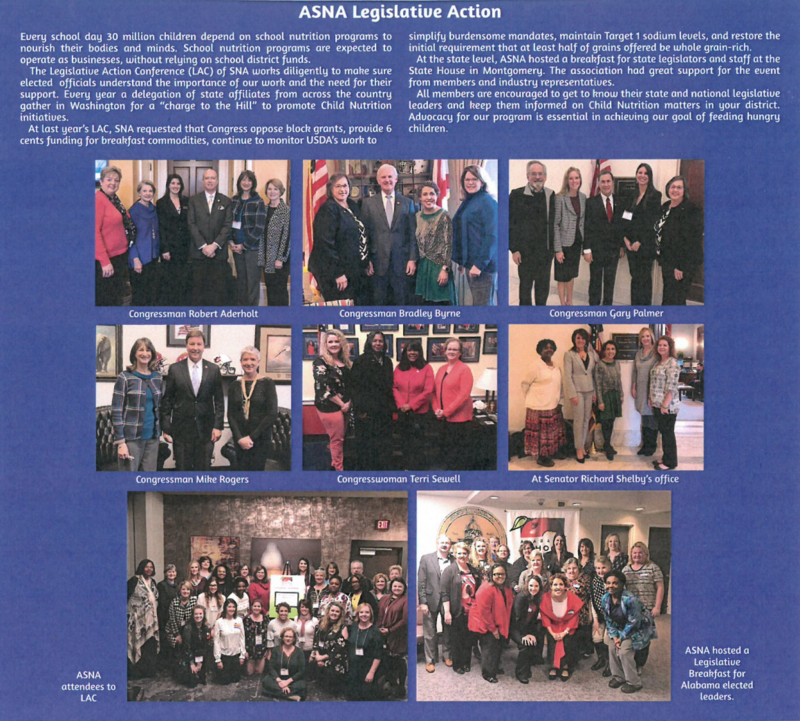 Thank you for your continued participation with advocacy for SNA! Why build relationships with your school district representatives and local legislators? Building relationships with your school district representatives and local legislators will allow you to educate and familiarize them with your school nutrition program, your expertise and knowledge, and the challenges you face. Good communication between your school district representatives and local legislators is critical. These key players are vital to the success of your programs future. These are the people who decide not only the policies we will need to follow, but also decide if and how much funding will be provided for our programs. You can play an important role in making a case for future investment into our school nutrition programs. Ask yourself, "have your school district representatives visited your cafeteria(s)"? If the answer is no than you should invite them to visit! This visit can be an effective way to demonstrate firsthand how your program operates. They will appreciate becoming more informed about their school nutrition program and in turn this will help establish you as a valuable resource when local decisions are being made about the program. This will give you opportunity to better market your program. Ask yourself, "have you ever reached out to your local legislators...do you even know who they are"? Again, if the answer is no than you should get to know who they are by reaching out to them. Legislators need to be informed about the school district's operation issues with which you are dealing on a daily basis. They appreciate the opportunity to become more informed on how these issues affect not only the district, but community as well. By being informed of these issues facing the district and the community, it helps ensure that they will be more likely to support and advocate for change as they move through congress.